Perth’s share house market is as good as it gets in Australia at present, with a wealth of rooms available at very attractive price points in comparison to other capital cities. But even with an abundance of options, there are gems to be found in suburbs you might not expect. Flatmates who are prepared to widen their scope and look just outside some of the premier locations can find very similar amenity at a much more palatable price. Here are some of Perth’s best share suburbs you might not have considered. Leederville regularly rates among Perth’s most desirable lifestyle suburbs, with plenty of parkland and being only a short distance from the city’s CBD. Just next door, however, you’ll find North Perth, where it’ll be far easier to find value in the share house market. North Perth has among the most rooms listed on flatmates.com.au of any suburb in the city, coupled with less people looking to live there – there are around five rooms available for every share house seeker. As a result, on average you’ll keep about $80 a month in your pocket for living just a couple of hundred metres outside of Leederville. Rooms in Jolimont share houses don’t come up all that often, but when they do, you might want to grab them with both hands. The little pocket on the north-western tip of ever-popular Subiaco enjoys almost exactly the same amenity as its big-name neighbour, but at almost $25 per week cheaper for a room, on average. The only challenge can sometimes be finding rooms there – with much of the suburb taken up by sporting ovals, netball courts and Henderson Park, there isn’t always an abundance of rooms on the market. But those houses that do come up? Gold. 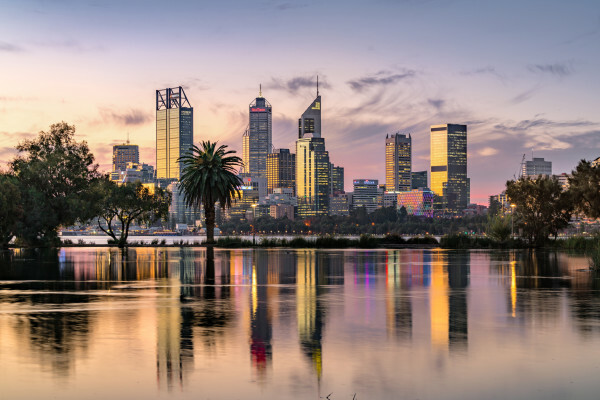 Situated on the banks of the Swan River and taking in some of Perth’s most picturesque parks, Victoria Park is both idyllic and affordable for renters. And just three train stops away lies Bentley, which has one of the cheapest average room rates on flatmates.com.au, with renters paying just over $150 per week. While the suburb hasn’t always enjoyed a glowing reputation, it is on the improve, and it’s hard argue with the location - in close proximity to Curtain University, multiple shopping centres, good public transport and only 8km from the city centre. Seaside Scarborough is the pick of Perth’s beachbound suburbs among share housers, with more people searching for rooms there than any other suburb outside of the inner city. But if you’re prepared to add a two-minute drive to your trip to the beach, why not check out neighbouring Karrinyup? Rooms there will save you an average of almost $30 a week, plus Karrinyup Shopping Centre is on your doorstep, along with an abundance of major parks and golf courses. And you’re still less than 4km from the sand and surf. Fremantle’s popularity is growing all the time, making it one of the top 10 most searched-for Perth suburbs among share house seekers on flatmates.com.au. As a result, the Fremantle precinct is one of the city’s most expensive, with North, South, East and central Fremantle all commanding as much as $250-plus in weekly rent for a room. Lift your vision to the south, though, and you’ll find Hamilton Hill, which is still walking distance to the water but is an average of $50 a week cheaper than what you’ll find in Fremantle. And you’re greeted with a great range of options, with more than 100 rooms listed on flatmates.com.au. Positioned perfectly between Fremantle and Coogee, and with its own shopping hub at Hamilton Hill Plaza and good road connections in every direction, Hamilton Hill could be considered one of the true unsung heroes of Perth’s rental market. Meredith is Flatmates.com.au's Community Moderator. Originally from California, Meredith now calls Sydney home.